Minutes after militants attacked a luxury hotel complex in Nairobi the first ambulances roared up to collect wounded survivors. Speedy medical help is taken for granted in the West, but many developing nations do not have centralised emergency command. Confusion during past attacks in Kenya cost lives. This time response was better, partly thanks to Flare, a new ride-hailing app whose ambulances were first to the dusitD2 hotel and office complex hit by Somalia’s al Shabaab. “Flare was telling us what is happening, how to position our ambulances, how to evacuate, how to ask for additional resources,” said Kelvin Osano, ambulance fleet manager at the private Avenue Hospital where the injured poured in. Four gunmen and suicide bomber killed 21 people, just round the corner from another al Shabaab attack in 2013 that took 67 lives at the Westgate shopping centre. There was no triage at the scene. Bleeding patients were bundled into vehicles without being stabilised. A security cordon prevented ambulances from reaching victims. At the hotel complex ambulances scrambled by Flare – run by the Rescue.co Company – arrived quickly after panicked calls from subscribers. The first ambulance arrived within 12 minutes and an hour later 20 were there. Eric Ogot, a former nurse who mans the Rescue.co hotline, gave first aid by phone to office workers hiding from gunmen. He helped triage patients remotely and assigned drivers. “Our job would be to try and be the calming presence,” he said. Peter Koome, a paramedic with charity St. John Ambulance, said improved co-ordination, along with better training and access, helped save lives. Of 30 badly wounded, all but two survived. Americans Caitlin Dolkart and Maria Rabinovich founded Rescue.co in 2016. The Flare app works like ride-hailing and food delivery services and has thousands of subscribers and 500 ambulances across Kenya. 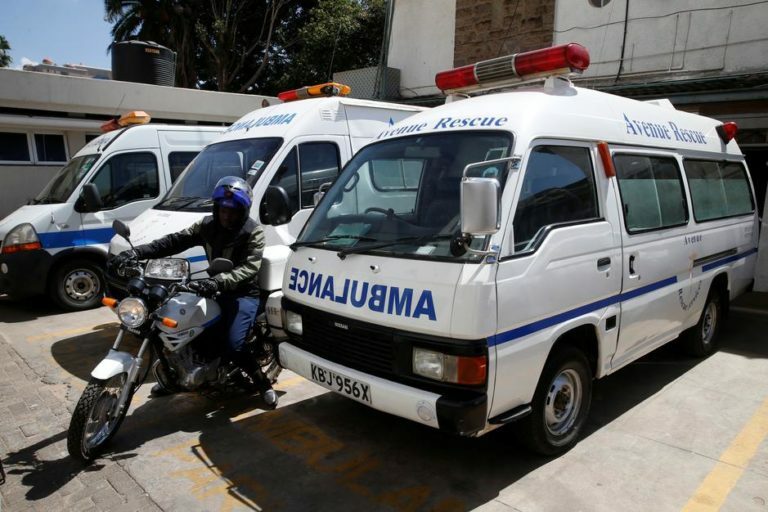 Kenyans with an emergency are used to calling their closest hospital and ambulances often become ensnared in traffic, Flare streamlines services by monitoring ambulance locations and traffic conditions in real time. Dolkart hopes to expand, around the region and into fire and security services – building on its experience at dusitD2.